WESTPORT — Jen Putnam’s 11-year-old son has cerebral palsy, which makes it difficult for her family to use Compo Beach. Putnam spoke in favor of plans for a new sidewalk and bathrooms at Compo’s South Beach at the Planning and Zoning hearing and said the change will make Compo more accessible to people with disabilities, like her son. “The older he gets the less we use the beach because it’s almost impossible for us. 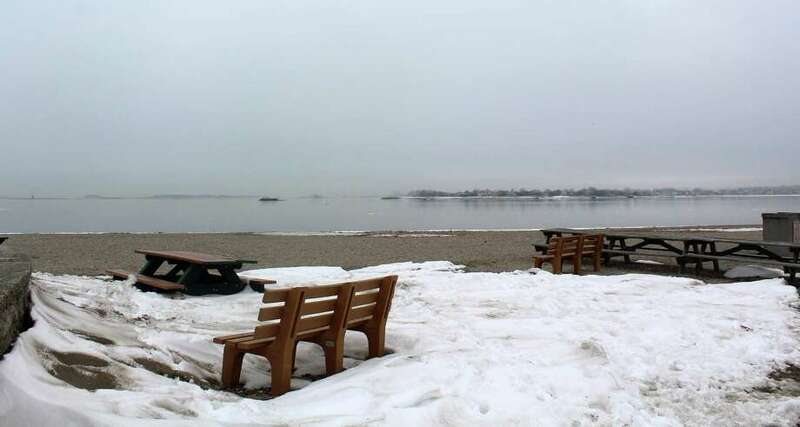 We can’t get to the barbecue pits, we can’t get onto the beach without lifting him or his wheelchair, so this would be amazing for us,” Putnam said at a zoning board meeting Feb. 15. In a unanimous 7-0 vote, the zoning board approved a positive report for the handicapped accessible restroom facility and pedestrian walkway in the South Beach area similar to the sidewalk currently on East Beach in an effort aimed to make walking near the beach more accessible for families with strollers, seniors, and people with disabilities. Currently, people who need to use a hard surface for mobility in the Compo Area walk in the roadway, which many deem a safety hazard. An employee of town’s Human Services Department, resident Patty Haberstroh recounted a time when she worked with an elderly woman who used a wheelchair scooter to move around the Compo roadways. “I watched her behind the cars one evening, and it was dark, and she was going behind Land Cruisers and all these big things, and I just thought, this is a problem. This is a problem for her. I never dreamed I’d find myself to be in her position, but I am,” Haberstroh, who was recently diagnosed with a disability herself, said. Although the majority of commissioners and speakers supported the new sidewalk and bathrooms, Commissioner Chip Stephens and resident Michael Calise expressed concern about the changes. Stephens spoke of a public meeting about Compo a few years back in which he said the majority of meeting attendees didn’t want changes to the beach. “The overall feeling was Compo Beach was a jewel we had and they like the way Compo Beach was. That people enjoyed walking on the road, that it wasn’t a forced thing,” Stephens said. The plan still needs approval from the Board of Finance, Board of Selectmen, and the Representative Town Meeting and will need to come before the P&Z again for a special permit before construction on the sidewalk and bathroom can begin, likely after the this coming summer and completed in time for the May 2019 summer season, Parks and Recreation Director Jennifer Fava said.